S-5! ColorGard™ is an excellent choice for snow retention where an exact color match is required. By using the same material and factory applied finish as the roof itself, ColorGard assures a perfect match. S-5! 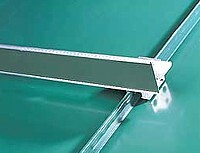 clamps are the way to attach anything to a standing seam roof. 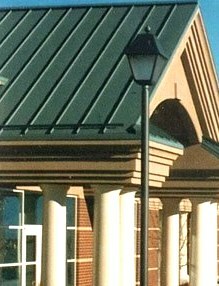 Other clamps and brackets are available to attach ColorGard to almost any roof. 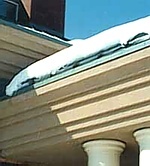 ColorGard is an effective and economic-al way to provide snow retention on just about any roof. It's easy to install, matches the roof exactly and is as dependable and fade resistant as the roof itself.